Your Mazda B4000 is treated the same in the auto world as a Ford Ranger. Most of the parts are the same because of the Ford-Mazda partnership. Borg Warner is the go-to manufacturer for all Ford transfer cases and these are the very ones that we have in stock. BW1354 and BW4405 are two of the most common units that are asked for by customers. Here at www.transfercasesforsale.com we rebuild transfer cases and we sell them used. We leave it up to our customers that want a Mazda B4000 transfer case to decide on which version is best for their pickup truck. We can tell you that you’ll never pay MSRP and in fact you’ll save a ton of money with us. A problem that you can encounter when purchasing drive drain parts and accessories online is mismatching. Some sellers do not do their homework and put accurate information on their website. It is easier than you think to order the wrong part that cannot be returned. Mistakes like this happen elsewhere and not on our website. Our inventory is arranged perfectly and we use a sophisticated database that lets us know our pricing and what we have in stock every second of the day. This is the same database that provides our price quotes for our Mazda transfer cases. Since you can’t touch one of our drive train units, we will do our best to describe to you what you get for your purchase. We feel that will help you to understand just how much better our auto parts are compared with eBay sellers. When we use the word used, what we mean is a transfer case that we have purchased from a dealer that we do business with. These cases are removed directly from vehicles that are in excellent condition and are well cared for while in the possession of our dealers. These are shipped to us and we look them over using our manual checklist and computer testing. We spin test the gears and clean them up before sale. This is what used means to us. For our rebuilt Mazda transfer cases, we do the very same thing although we replace many of the internal parts that are old or worn out. The housing and motors are two of the things that rarely fail. It is the springs, couplers, bearings and chains that often break or get worn down. 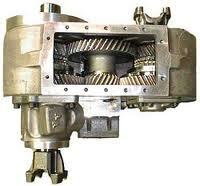 Fluid leaks and broken gears are very common and we recondition transfer cases that are found to be defective. Our testing never lets a low quality transfer case make it into our inventory for sale. Each of our B4000 transfer cases fit perfectly into a Ranger or B-Series truck. We use quotes here so that we are accurate in pricing. We would love to publish pricing online, but that might cause issues if a price fluctuation occurs. We like accuracy and low prices. We use our Mazda B4000 quote form to generate our pricing. Use it on this page and you’ll see the unit cost and the shipping price. Most of the time free shipping is included. You can call (888)-508-7153 if you want to speak by phone with us. We’re friendly and here to save you a bunch of money on a transfer case.